In this month’s Depth of Field, Chinese photojournalists explore foreign terrain, both beyond China’s borders and within them. Independent photographer Yuyang Liu traveled the open seas to document the lives of Chinese and African workers who fish the Atlantic waters off the coast of West Africa. 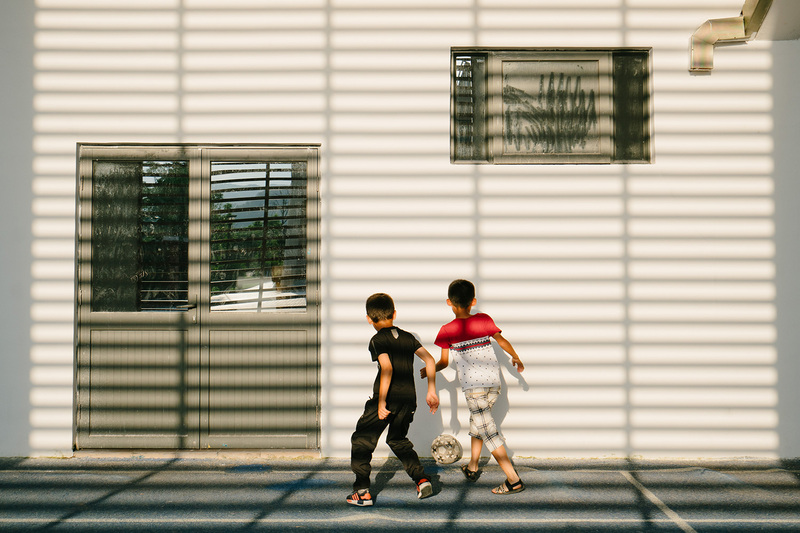 Closer to home, while working on a long-term project on Guangzhou aid to Kashgar, Liu stumbled upon a soccer school in Guangdong where a Uighur coach recruited a small group of students from Xinjiang who must now adapt to life in a majority Han region of the country. She Xiaojian captured the relief and the struggle of sailors who were released by their Somali pirate kidnappers after years of captivity. Also, from Feng Haiyong, a story on corpse ransom and a volunteer group’s attempt to snuff out the awful practice; Chen Ronghui looks at the future of robots as eldercare providers; and for Sina, photographer WangDansui follows Chinese migrants in Europe, from the Czech Republic to the Netherlands. 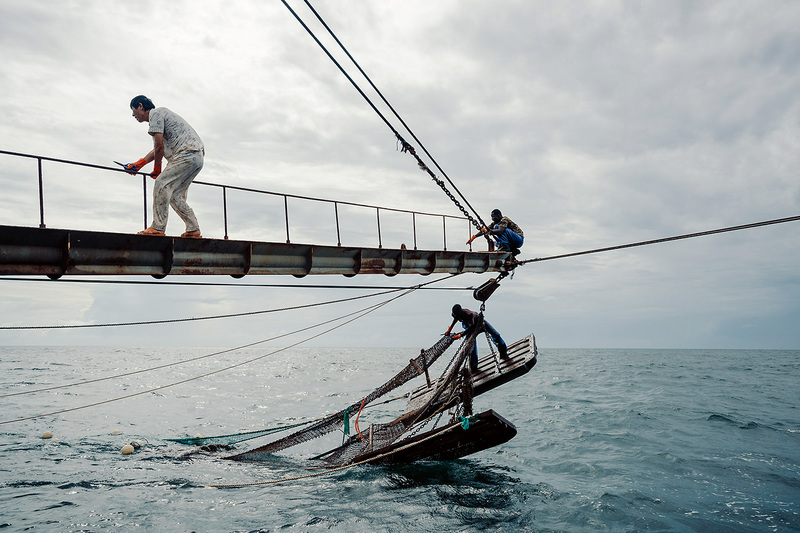 As fish catches off the coast of China decline, independent photographer Yuyang Liu traveled by boat to West Africa to follow the story of Chinese fishing crews on the Atlantic. 400 Chinese fishing boats and thousands of Chinese fishermen troll the waters off the coasts of Guinea-Bissau and Senegal. According to Greenpeace, who supported Liu’s work, about one fifth of China's distant-water fishing vessels are concentrated in African waters. Locals earn far less than their Chinese counterparts for their work on the fishing boats, but the influx of Chinese fishing has still been a boon to the local economy. Guangdong’s second-largest soccer school, in the city of Meizhou, is now host to a group of 20 Uighur children, who have traveled across the country not only to learn the game but also to enjoy an education unavailable to them in their native Xinjiang. Yuyang Liu captures their dreams and the difficulties they face adapting to life so far from home. In the spring of 2012, 26 sailors, including ten from China and two from Taiwan, were abducted by Somali pirates. 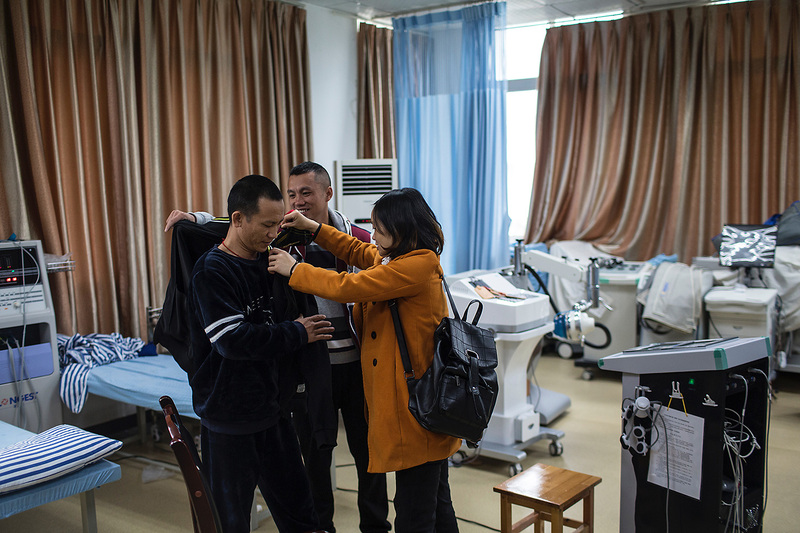 Photographer She Xiaojian met some of the survivors, soon after their release in October. She’s story includes their account of their abduction and captivity, as well as their troubled reentry into Chinese society. 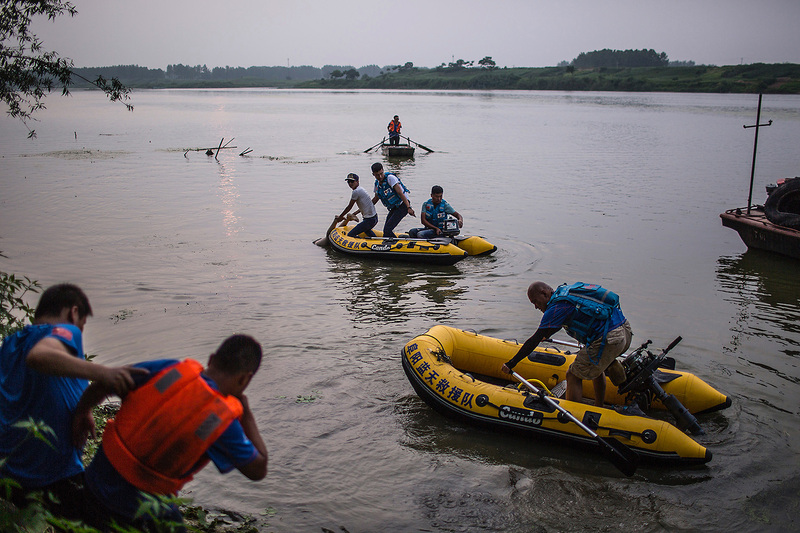 In Fuyang, Anhui province, Feng Haiyong photographed volunteers trying to combat a widespread practice of retrieving dead bodies from rivers and ransoming the human remains to mourning families. The volunteers’ goal? To reunite the dead with their loved ones, free of charge. Feng’s images can be hard to look at, but within his essay are some glimpses of hope: photographs of the same volunteers learning the skills to save people from drowning. 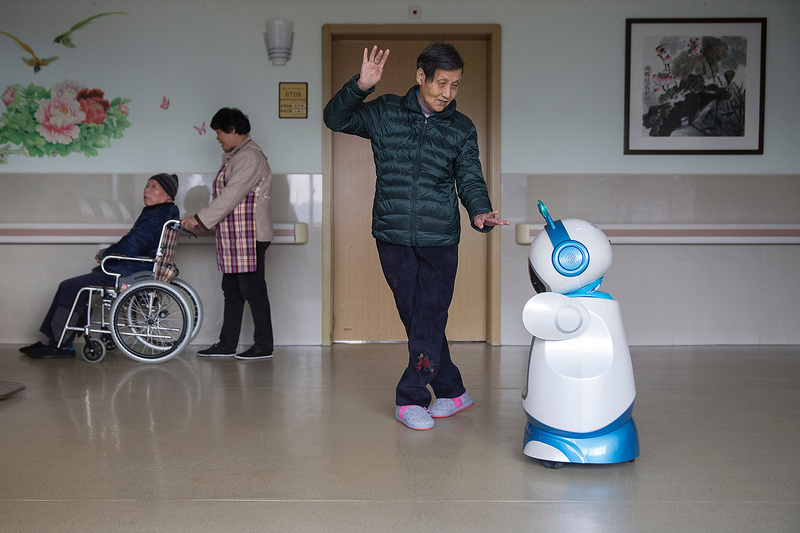 At the Hangzhou Social Welfare Center, residents can count on an elder-care robot named Ah Tie to remind them when to take medication, to dance, and to answer questions. Photographer Chen Ronghui watched the robots interacted with the residents and with their families. 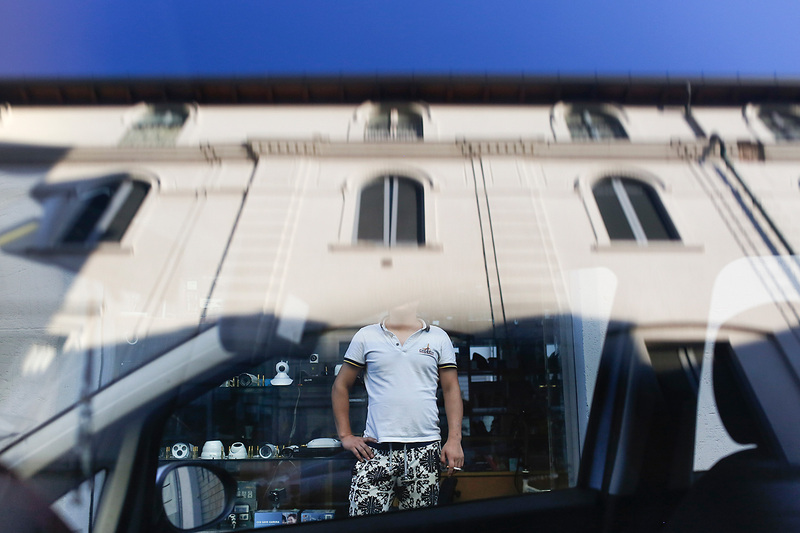 Photographer Wang Dansui visited five Chinese immigrants living in the Czech Republic, the Netherlands, and Italy. Like immigrants elsewhere, these Chinese transplants work to send home money to their families, all the while covering their own expenses and trying to start or grow their own businesses.